To compete with the standard 100 yen shops, like Daiso and Can Do, Lawson entered the arena to compete with their own contestant, 100 Lawson shops. In the 100 Lawson shops, they focus on mostly food and daily household goods. Some of their offerings are older grocery store stock. So, items that used to be on sale at regular stores, but due to new products coming out or approaching expiration dates, were unloaded to 100 Lawson to be sold at a discounted price. A while back, I remember seeing Pringles-flavored yakisoba in the convenience stores. Foolishly, I thought that I'd be able to get them at a later date so I didn't buy them when I first saw them. But, checking back the next week, they were sold out. 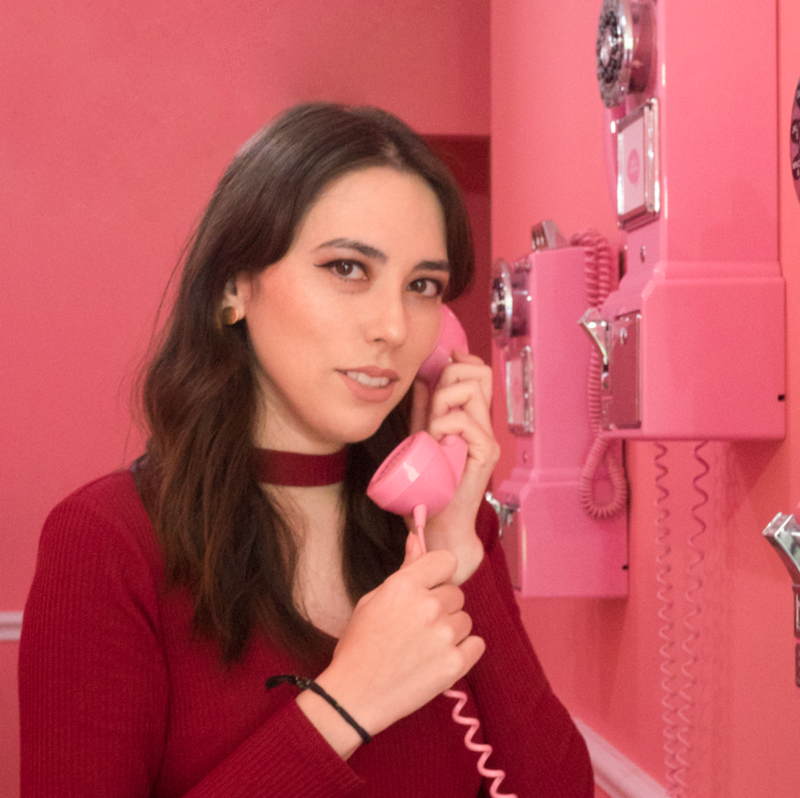 I felt like I totally missed my chance. This is where 100 yen shops come in handy: they stock limited-edition items that have already passed through normal shops' shelves. 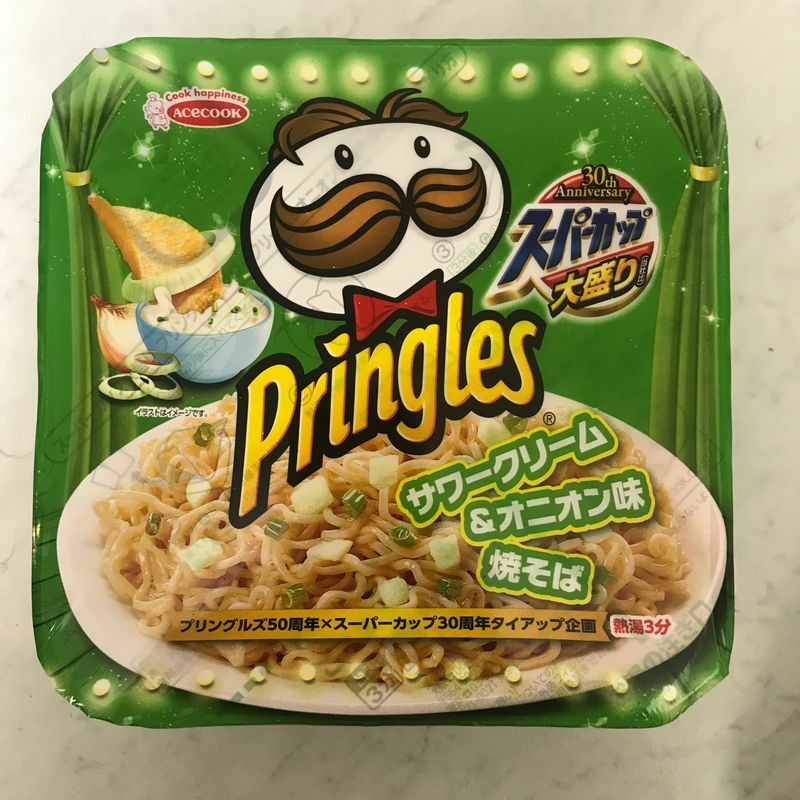 I was fortunate enough to find the Pringles Yakisoba as well as Yakisoba Pringles. 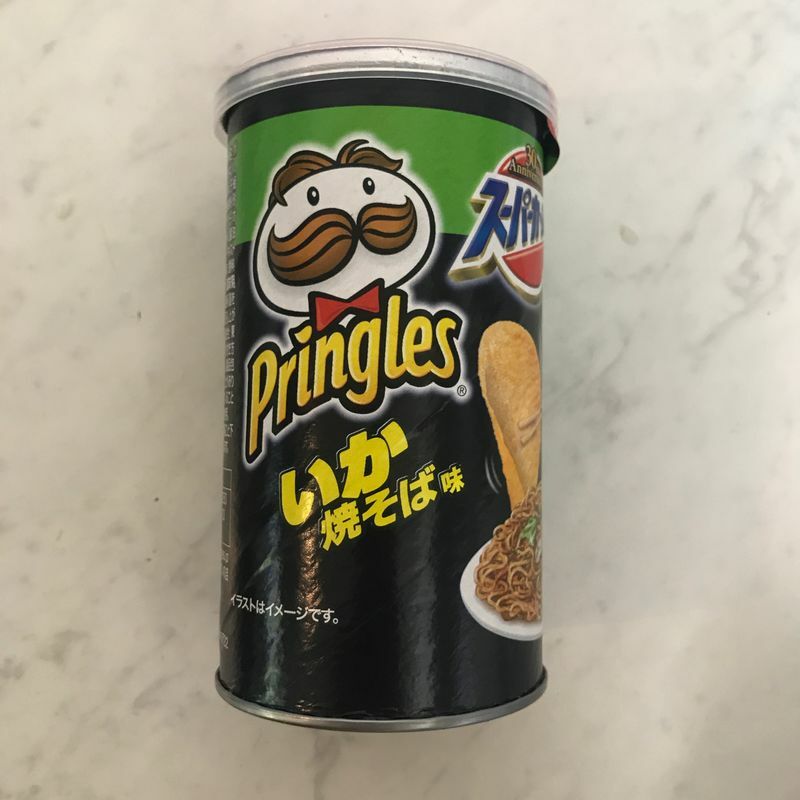 The yakisoba was Pringles' famous sour cream and onion flavored. The Pringles were squid yakisoba flavored. 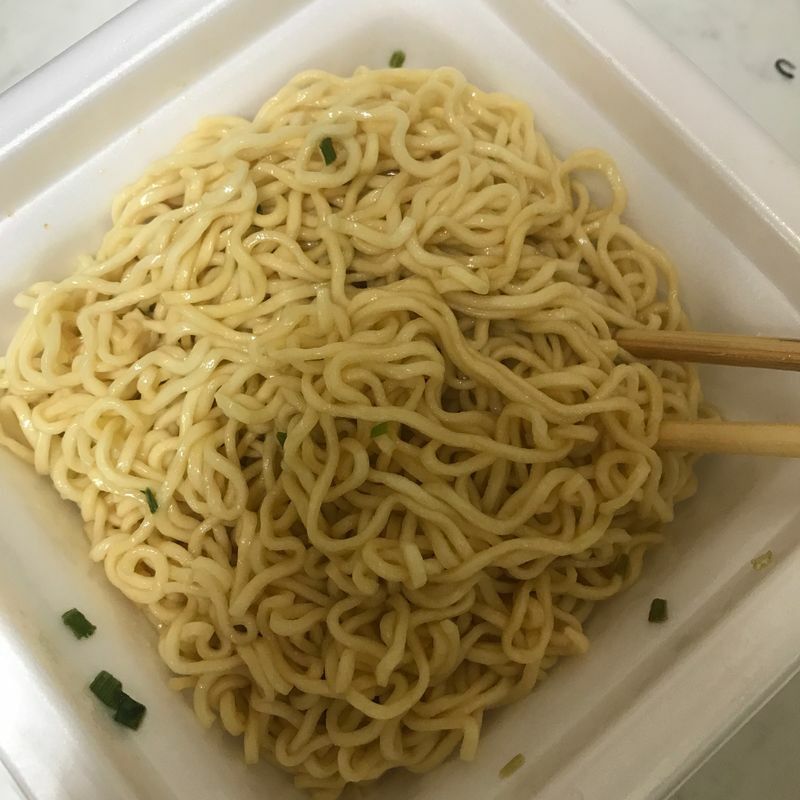 With the sauce packages mixed in, the noodles didn't look very remarkable. I wouldn't have guessed they were Pringles flavored from appearances alone. 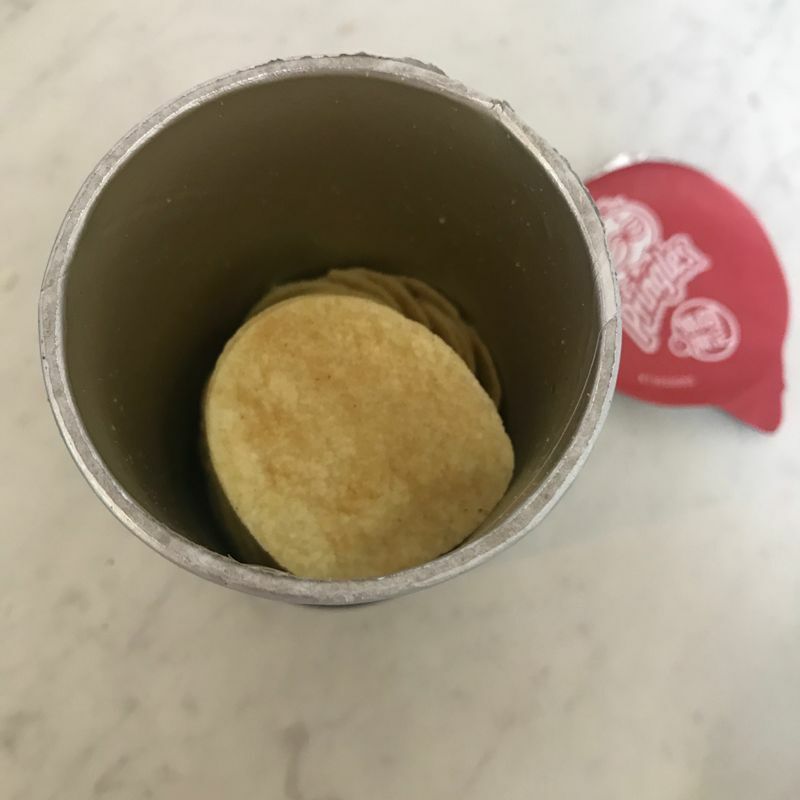 The Pringles had a bit more color to them. The generic brown dust is reminiscent of instant yakisoba powder, but it's certainly not the first thing that would come to mind. Overall, I didn't enjoy either take on one another. While I appreciate the novelty, they both should stay in their respective lanes and stick to what they each do best!